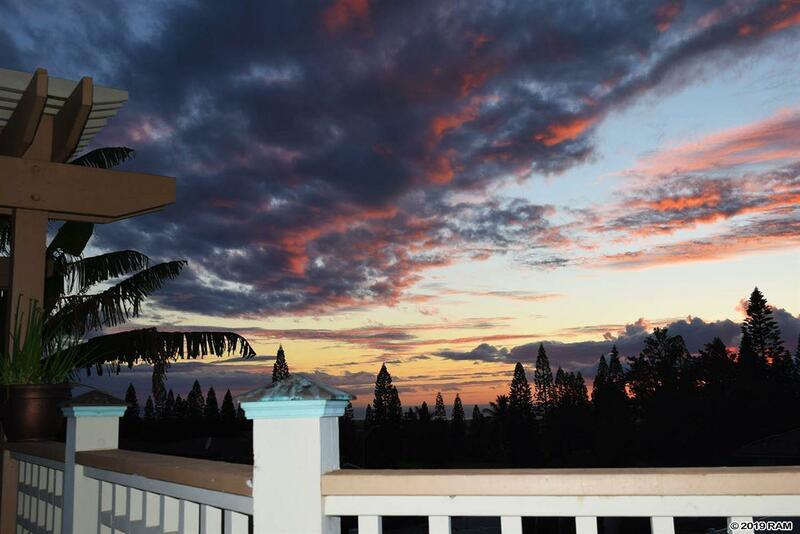 With bi-coastal ocean, mountain and golf course views, you can enjoy breathtaking sunsets over the ocean and captivating sunrises over Haleakala. 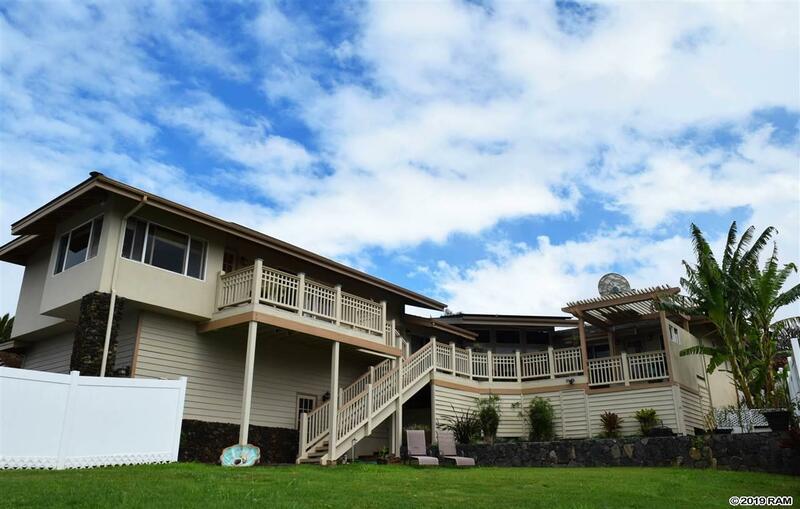 Enjoy gatherings in the open concept living and kitchen area with a custom lava rock fireplace, floor to ceiling windows, skylights, and sliding glass doors that lead out to your expansive lanai and ocean views. The updated gourmet kitchen will inspire your inner chef and is perfect for entertaining with granite counters, farmhouse copper sink, oversized center island and prep sink, custom cabinets, and top of the line appliances. Two luxurious master suites offered at each wing of the home offer privacy, ocean views, walk-in closets and private bathrooms with impeccable updates, custom vanities, exceptional tile work, oversized walk-in showers, and double sinks. Recent updates include split A/C system, retaining rock wall with fencing to completely enclose the landscaped backyard, as well as a leased solar PV system. Other special features include main level entry with parking and double sided driveway, garage level entry with ample parking, vaulted cedar ceilings, exposed beams, floor to ceiling windows, track lighting, new appliances, a designated laundry room with brand new washer and dryer plus main floor laundry, an oversized garage with workspace, ample storage, central vacuum system, security system, two solar hot water heaters and room for a cottage or pool. Furnishings, if desired, are negotiable. 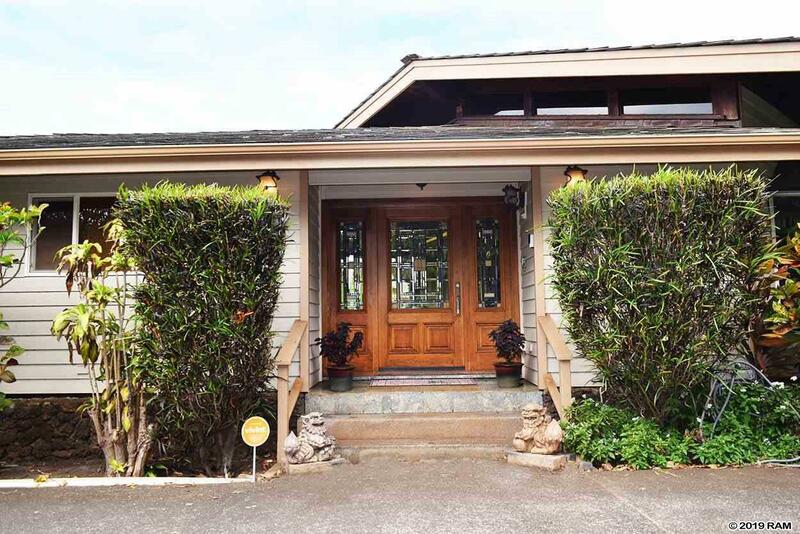 From the moment you enter this custom-built home, you will know it is one of a kind. Listing courtesy of Coldwell Banker Island Prop(Ka). Listing provided courtesy of Coldwell Banker Island Prop(Ka). This information is believed to be accurate. It has been provided by sources other than the Realtors Assoc. of Maui and should not be relied upon without independent verification. You should conduct your own investigation and consult with appropriate professionals to determine the accuracy of the information provided and to answer any questions concerning the property and structures located thereon. Featured properties may or may not be listed by the office/agent presenting this brochure. 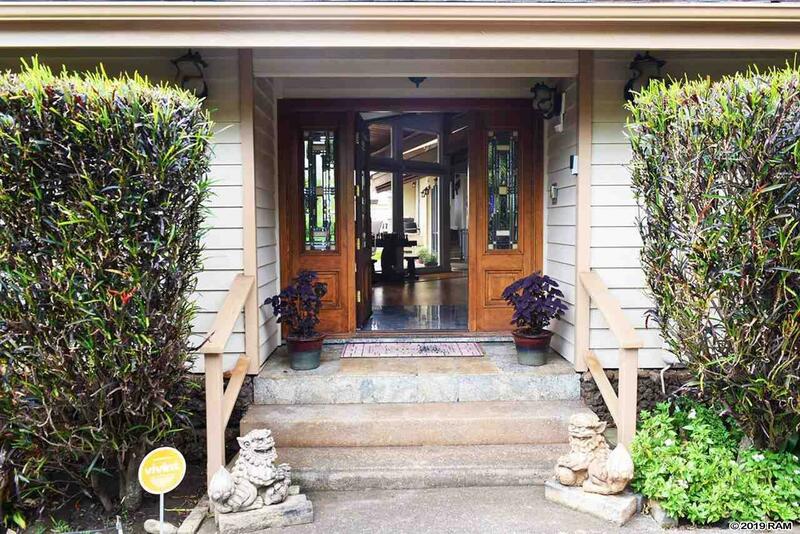 Copyright, 1995-2019, REALTORS® Association of Maui, Inc. All Rights Reserved. Data last updated: 2019-04-22T01:06:21.467.